Rika Inaba (Yui Aragaki) is a reporter at a broadcasting company and covers the National Police Agency. Being a reporter has been a dream of hers since she was very young, so she works harder than most anyone. Rika is considered as a promising reporter at the broadcasting company. Her sense of duty and passion as a reporter sometimes causes problems for her and the people she covers. Now in her 5th year at her job, she does not want to, but she has to work as a director at the evening information program. Rika takes an order to cover the Japanese Self-Defense Forces. Meanwhile, First Lieutenant Daisuke Sorai (Gou Ayano) has wanted to become a fighter pilot since he was a child. When his dream is about to come true, Daisuke suffers an accident. Because of the accident, his leg is injured and he must give up his dream to become a fighter jet pilot. He lives in despair for the next year. After that, he is assigned to the public relations department for the Air Staff Office. He never expresses his feelings to anyone at the Air Staff Office. Despite objections of others who think its too early, Daisuke's boss Sagizaka (Kyohei Shibata) asks Daisuke to support Rika. Rika begins going to the public relations department at the Air Staff Office for her program. She tries to find a scoop, hoping that it could be her ticket back to her reporter position. Because of this, Rika causes troubles…..
Based on novel "Soratobu Kouhou" by Hiro Arikawa (published July 27, 2012 by Gentosha Inc.). Zyra Dec 03 2017 8:33 am Amaziiiiing drama!! Everything - personal stories, career, romance, comedy - has the perfect blend. Lighthearted and warming. Gakky ang Go are a match made in the sky!! They made me feel so in love! And everyone in the cast is just so perfect in their roles. So many witty quips and funny lines, you won't get bored. As much as I love Gakky and Go, I must say that I admired Shibata the most in this series. He made me laugh soooooo hard and cry sooooo hard at the same time! Amazing! Must watch! Zyra Dec 01 2017 9:51 am I just finished the episode 1. And all I can say is, Kyohei Shibata for the win!!!! Hahahahahaha I think I laughed more than I should. Excited to finish and see how the story line goes! Reya Sep 22 2016 2:43 am As many have already mentioned, this is a solid, heartfelt series with a fine set of characters. A lot of great teamwork and friendships. A good balance of poignant scenes and comical moments. (Sagizaka the Swindler / Con artist was epic.) Also Gakky and Gou are a great pair. Sora Dec 31 2015 9:02 pm One of my all time favorite drama. The whole main and supporting casts did marvelous job, it makes you laugh and cry through their journey. In the end Soratobu still left big impressions for me. Highly recommended! ace Dec 23 2014 2:11 am This show was not at all what I expected. Which turned out to be a good thing. I was surprised at how funny it was. And not just from Kyohei Shibata's masterful performance either. The whole cast was great, with some great lines. Do not get me wrong. It has all the prerequisite romance and drama etc. But for me what made it shine was how often I found myself laughing out loud. Lynn Otsubo Aug 14 2014 3:12 pm I find this drama to be very interesting since it reveals the different characters emotions so vividly which is very unlike Japanese personality. Recently the dramas are becoming more and more western in thinking and creation. I think this concept is unique. Both main characters are funny yet strong and yet endearing to watch. I'm looking forward to see what happens in the end. Hana Feb 20 2014 12:39 am This drama is so underrated which truly frustrates me!! One of the best romantic work drama in 2013. All the casts were so endearing especially the team at the public affairs office! Both Gakky (Ina-pyon ^^) and Ayano characters showed tremendous growth on screen that makes viewers care n love them. Plus Ayano Gou and Aragaki Yui explosive chemistry was so wonderful to watch and make you root for them n want to yell "just kiss already you two!!" p/s: Ayano Gou seriously need to take more lead roles in the future. I don't understand why an actor of his caliber keeps playing supporting characters. Argh so frustrating. Gondorff Nov 24 2013 10:51 am Yeah, I think this is the best Romantic-Comedy drama that I've ever watched. Also really love the "Sagisaka Style" in this drama. Mic Nov 21 2013 4:52 pm Shibata Kyohei stole the scene! Wonderful drama! zhia_aala Sep 18 2013 8:57 am Worth to watch drama....I couldn't described more, its too good. The tears, the laughter, the silliness....its all in.....best drama!!!!! oh joy Jun 27 2013 9:15 am This drama is a must-watch!! AMAZING from beginning to the end!! rukiexx May 19 2013 6:22 pm I love this drama so much. 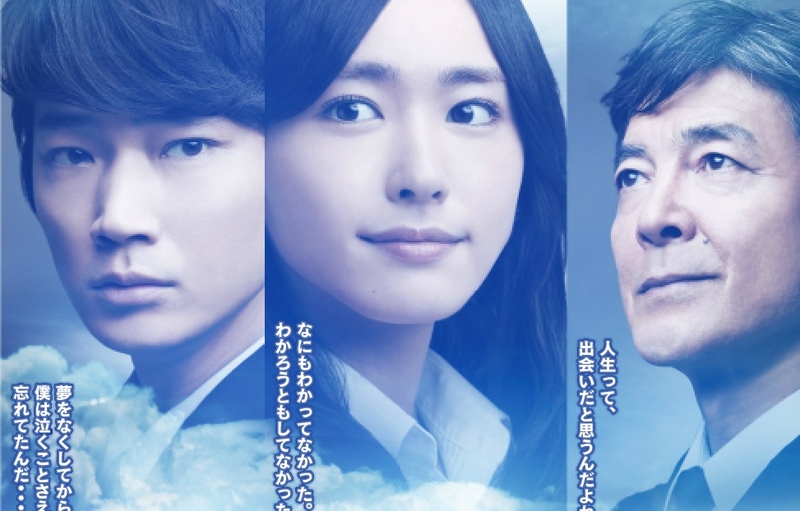 Although i'm a big fans of aviation, this drama is totally worth to watch. especially the character of Sorai Daisuke, i love him Gakki, Ganbatte !!! ininomiya May 15 2013 6:14 am This one! GOOD and very Recommended! biankyflowers Feb 14 2013 5:36 am finally! Gou Ayano as a lead!! IMO the guy is heavily underrated and I'm so psyched that he'll be playing one of the leads. And with Gakki nonetheless! Yay! I'm not sure of the genre of this show but I hope it'll be a romcom.